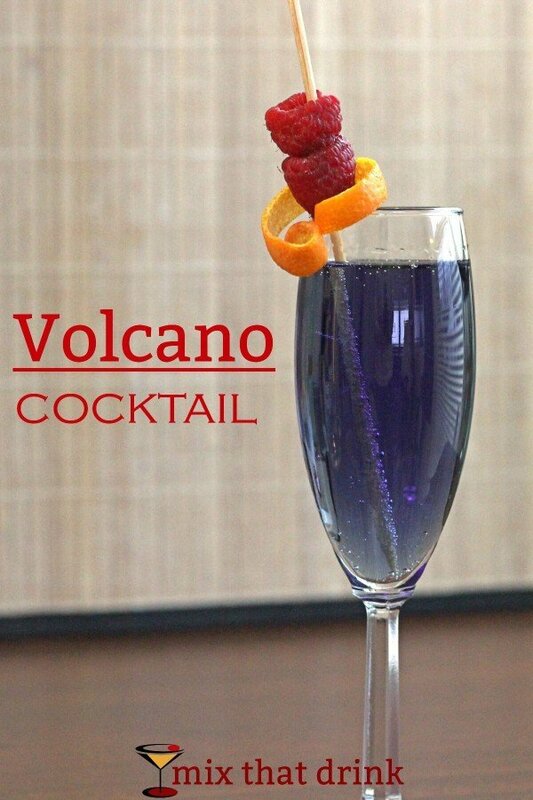 The Volcano cocktail is one spectacular-tasting champagne drink. 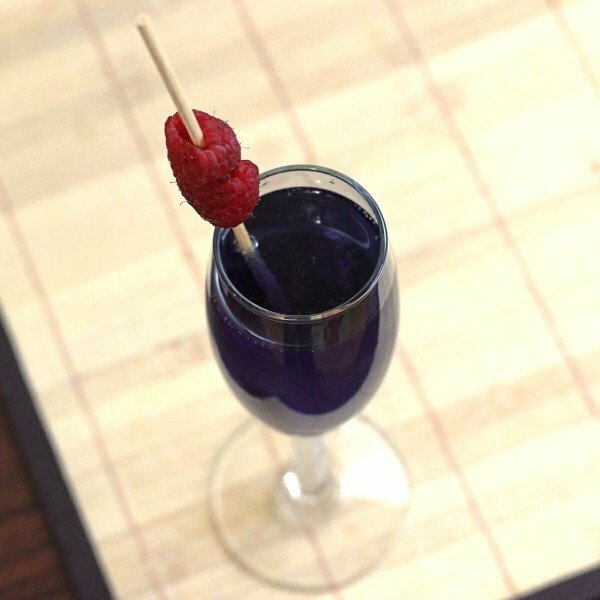 It blends the flavor of raspberry liqueur and the orange taste of curacao with champagne for a pure alcohol treat. Raspberry and orange make an amazing flavor combination, and when you add the other fruit notes from the champagne of your choice, the result is wonderful. Like the Kir Royale, this is one of those drinks most anyone will love, and that makes it perfect for parties or celebrations. You can prepare it ahead of time by pouring the liqueurs into glasses, adding the garnish, and setting them in the refrigerator. Then, as guests arrive, you pull out a glass and add the champagne. Remember to also keep the champagne chilled. Don’t leave it sitting out for very long at any point. The Volcano cocktail is well-suited to a get-together with nibbles, particularly salty ones that contrast with the fruit notes. Goat cheese on crackers is a great option. These Hazelnut-Crusted Goat Cheese Nibblers would complement this drink very well, providing a lot of savory notes to contrast with the sweet fruity flavors of the drink. Bacon wrapped water chestnuts in a sauce of ketchup and brown sugar would be another way to go, with salty and sweet notes that both flatter and complement the cocktail. There’s no reason to waste expensive champagne on this cocktail, since the liqueurs will drown out the more subtle notes anyway. This drink is a great way to use up some champagne that’s about to go bad, or to dispose of some cheap or leftover champagne. Pour the liqueurs into a champagne flute. Fill it the rest of the way with very chilled champagne. Garnish with a twist of orange peel and a couple of raspberries.